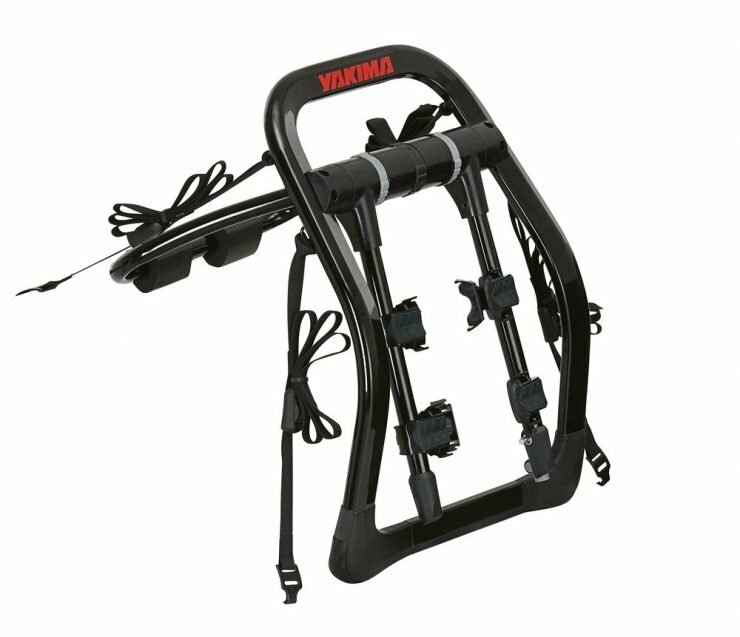 Transporting your bike has never been easier thanks to the Yakima FullBack 2 Bike Carrier. 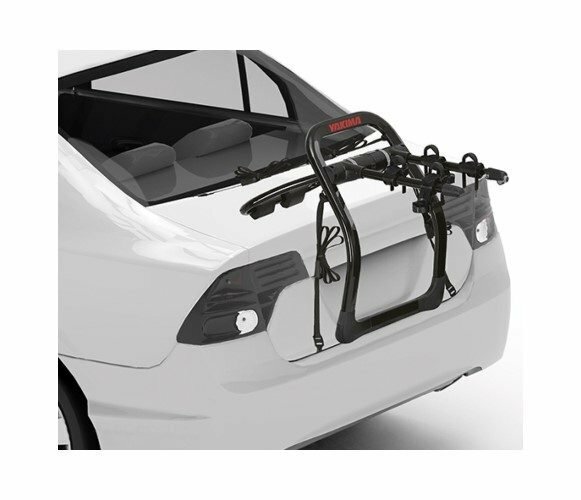 Say goodbye to the conventional strap racks which are more likely to damage your car, since the weight of the bike and rack rest on the car. Thankfully manufacturers noticed this and decided to create a more durable alternative while still ensuring affordability. 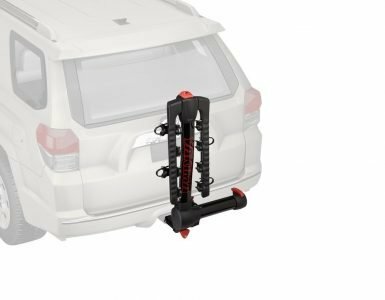 In case you haven’t yet heard about the Yakima Fullback 2 bike carrier, we decided to outline all you need to know about this unit. Perhaps it’s exactly what you needed to transport your bikes. Why the Yakima FullBack 2 Carrier? With the increasing number of bike carriers on the market, you’re probably wondering why we singled out this one. Hopefully, the following advantages it offers will explain why. You’ll agree: The main reason for purchasing this piece of equipment is to keep your bike secure. As a result, you’ll appreciate how it’s designed to securely hold your bike in place as you travel with it. You won’t be worrying about whether or not your bike reaches the intended destination with all parts intact. More importantly, the chances of it being stolen are quite limited. Have you spent hours trying to figure out how to mount your bike onto the carrier? The last thing you need is a device that’s complicated to set up. It takes the fun out of your hobby. Fortunately, that’s not the case with this bike carrier which is pretty easy to install. It’ll take you approximately five minutes after you’ve had a bit of practice. You’ll also find an instruction manual at your disposal to guide you through the process. More often than not when manufacturers upgrade products, the prices are also increased to reflect the “new & improved” features. Thankfully you don’t have to break the bank when selecting the Yakima Fullback 2, as it is quite affordable. As mentioned earlier, this bike carrier is built to last – as can be seen from its solid frame. Unlike the strap racks which prematurely wear out, this rack has a sturdy design. You don’t have to worry about making another purchase soon, thanks to its rugged construction. For a unit you’ll only use to carry your bike, the design is quite attractive. Available in a classic black it’s sleek enough to be the envy of your other cycling friends. The good thing about the Yakima Fullback 2 is that it also comes with some useful extra items such as an integrated bottle opener. This will come in handy if you want to enjoy a drink when you reach your destination. What Are the Most Appealing Features? New ZipStrip Cradles: These take care of all your security concerns because they securely attach your bike. Also, the same features are responsible for ensuring it’s easy to install and remove. The reason for this is these ZipStrips are fully removable. Bomber external frame: If a solid design is what you’re looking for then you’ll appreciate this tough frame. Though robust, your bike will still be protected from any form of abrasion thanks to the protective padding. SKS locking package: This anti-theft feature does exactly what it promises: Keeps thieves from stealing it. Interlocking HUB: Because of this feature, the key adjustment points are properly aligned making it easy to install. Four strap attachment: These straps are strategically placed allowing for easy & intuitive attachment. Compact: When not in use, the unit is quite easy to store because the arms fold easily. Premium high-gloss finish: We mentioned earlier how attractive this bike carrier is. The premium gloss finish has something to do with the enhanced appearance, adding flair to your overall look. It won’t ruin the aesthetics of the car. Number Dial: Still on the subject of installation, the easy number dial makes it simpler and quicker to install. 3 bike capacity: Though it’s called a two bike carrier, it’s actually available in a three bike capacity which is quite convenient for families with multiple bikes. It would be unfair not to highlight a couple of drawbacks associated with this product. As expected, very few products offer 100% satisfaction. Not Compatible with the Older Cars: Considering this is a modern product with improved features it might not work on the older vehicles. Most of the older cars require different configurations than offered by this product. As a result, installation becomes a bit of a hassle. Won’t Secure One Bike Properly: We get it: it’s designed to carry two bikes but that may not always be the case. Sometimes you just want to transport one of your bikes. Unfortunately, the security cable on this carrier will only work if you carry two bikes. Not for Long Periods: If you’re someone that likes to leave your bike carrier on the vehicle even when it’s not in use then this might not be for you. Yamika strongly advises against this as it’s more likely to damage your car. This means you have to constantly attach and detach it which is pretty inconvenient. Not For Small Bikes: If you ever plan on transporting the smaller kiddies’ bikes then this won’t work. It’s specifically designed for the larger ones. Q: What’s the warranty period on the Yakima Fullback 2? A: This carrier comes with a lifetime limited warranty. However for this to be possible you must register your product on the Yakima website. Q: Does it come with accessories? A: Unfortunately you’ll have to purchase some additional accessories to ensure full performance. Security strap and Tube tops are some examples. But not to worry, they’re available on the same website and at reasonable prices too. Q: What happens when you need spare parts? A: Items not covered by the warranty terms& conditions, they are also readily available and easily accessible. 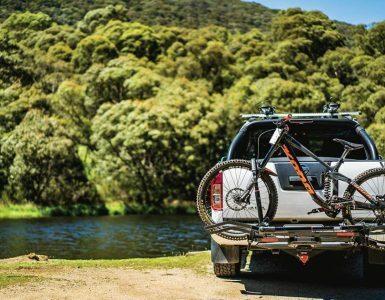 These are a few important aspects to consider before deciding if the Yakima Fullback 2 is the right choice for you. Naturally, you have to consider the number of bikes you want to carry. Carrying one bike? Then a one bike carrier will suffice. In this case, we think the Yamika Fullback 2 bike carrier is one of the best options if you want to transport two bikes. Also, the types of bikes you want to carry is important to consider before buying. Some bikes are too heavy for the strap racks – causing them to snap. Apart from being too heavy, you need to check if they’ll actually fit into the rack. Needless to say, these racks aren’t a one-size-fits-all type of equipment. It might be worthwhile to go rack shopping with the actual bike to avoid making a mistake. We’ve explained why the type of bike is important; Now we’ll discuss why the type of car is worth considering. Certain features on the vehicle will influence your decision and depend on which rack you pick. Case in point: Does your vehicle have a hitch? 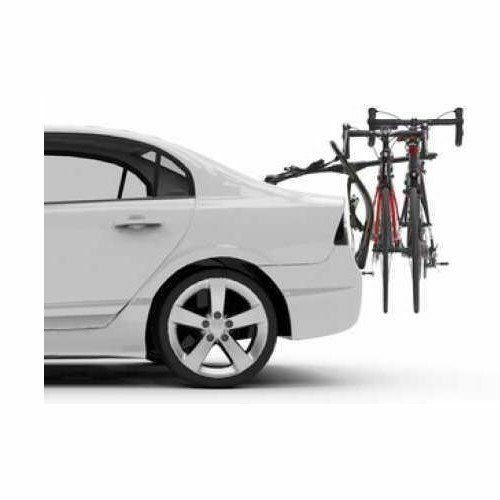 If not you can only buy a trunk bike rack because it’s easier to install. You just have to be prepared for a little drilling into the car chassis. A smart option would be to purchase a versatile rack you can use on all or most of your vehicles. 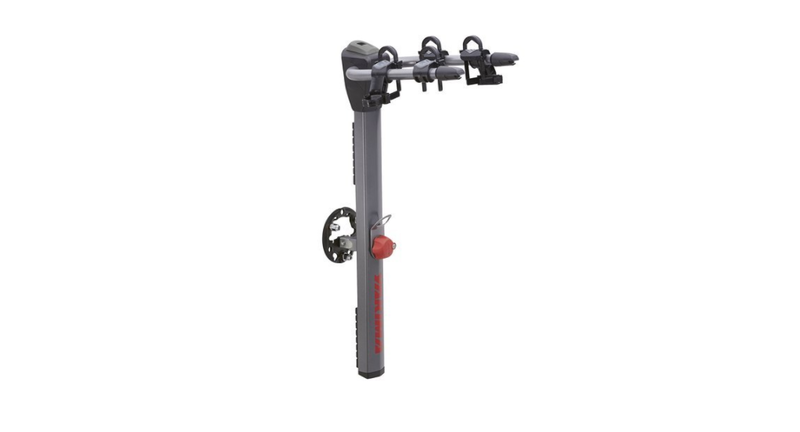 These bike carriers are available at different prices so you can find one to suit your budget. However just because you’ve picked the most expensive one doesn’t mean you have the best one. Try to consider all the above-mentioned factors including functionality before making your final purchase. We reckon this will be a worthy addition to any bike lover’s set of biking equipment. You get looks, functionality, and security at an affordable price.